Manila had been the center of Spanish activity in the Far East for almost 300 years, and its galleon trade had seen it become widely recognized as the "Pearl of the Orient". 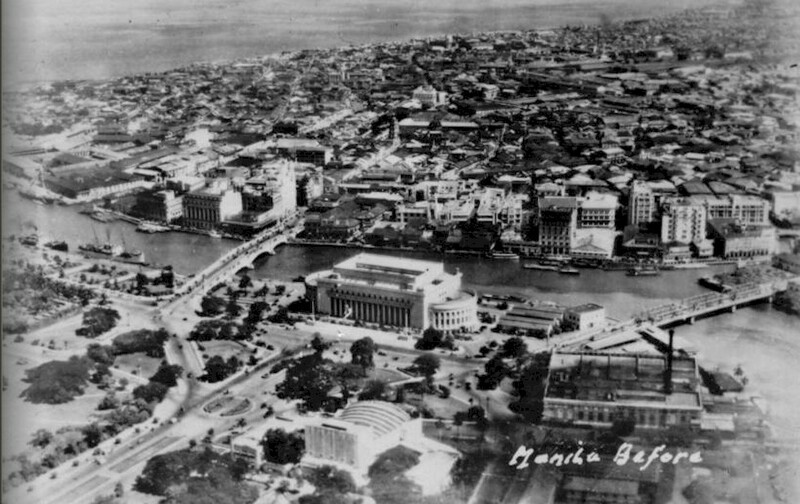 Its loss to the Americans in the first Battle of Manila, saw it become a display case for fresh ideas of American commerce, social, town and urban planning, superimposed on an old-world European charm. WWII would bring its almost total devastation, and its rebuilding during the fledgling years of the new Republic would never recapture the magnificence of the pre-war architecture and charm.